The three months of this blog have been phenomenal. The following has been beyond my expectations, the ambitious targets I set myself were reached and surpassed every time. I can only thank you all for the support and encouragement which have kept me going on, at times even late at night to keep coming up with new content. I am satisfied with what has been achieved over the past three months and you may have wondered why I have not posted for the past few days. The reason is that the format of this blog is a bit limiting. I found, also thanks to some avid followers, that finding content was no longer easy because the blog format might not have been ideal. Originally, I set http://www.ivanbrincat.com as a personal blog. At first it was an exercise in self-discipline particularly since the blog is and remains a hobby. At first I was not sure which direction to take. But as time went by, I started to write more and more about what I am really passionate about which is food, wine and travel. I am therefore making the following changes which I hope will signify a new stage in the development of this hobby. Firstly this blog will become a more personal account of things which I would like to speak about but which might not necessarily be related to food, wine and travel. I will for the time being still link to the new website for content related to food and wine and will from time to time continue to write about books given that this is a topic that has been rather popular. This blog will be more personal from now on and will be updated less frequently. This has been a completely new experience for me and one which has led to a few late nights to get it up and running in the shortest possible time. I hope that you like the results and bear with me until I get the site polished. But I am raring to go, in the little free time I have and promise that there will be more new compelling content. The format allows for the sharing of content so I am looking for anyone who would like to write guest posts or to share blogposts on www.foodandwinegazette.com. Thank you once again for your following and i hope to welcome you on the new website. 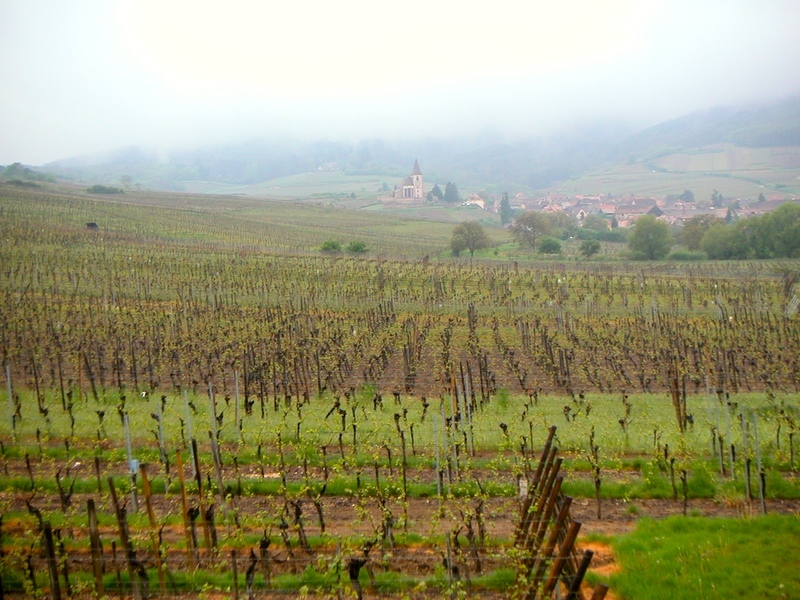 Vineyards just outside Riquewihr, the home of Hugel in Alsace. Summer in Malta is long and hot, and having spent most of the month on the little island in the Mediterranean, drinking red wine was not really an option except on rare occasions late in the evening when the temperature drops below 30 degrees and the cool summer breeze is welcomed by people who are trying to rest before they face another hot day. Close to the sea, it is normal to try and eat fish as much as possible and although I am not fixated with having to always match a white wine with fish, the focus for the month of August has mainly been white wines such as Chablis, Sancerre, Falaghina and Zibibbo among others though here I share with you three whites and two reds. Hugel Riesling 2008 (Alsace, France): Riesling is a grape you either love or hate. It is one of my favourite grapes for white wine because aside from its intense acidity and fragrance it is very refreshing and easy to enjoy. Many associate Riesling with sweet wines, which is clearly the case, but in the hands of good wine producers, a dry Riesling is exceptional and is one of those white wines which defies logic and can age extremely well. In this case, the Hugel Riesling from the pretty village of Riquewihr in Alscase had all the freshness of a young wine despite its six years. We paired it with a seafood platter made up of a mix of raw and cooked fish dishes. Meridiana Baltis – Moscato 2012 (Malta): If there is one winery in Malta which you need to remember, this is Meridiana. The winery produces around 140,000 bottles of which there is a relatively new addition, a Passito with the Moscato of Malta grape variety, This wine is made with raisined Moscato grapes. This was the first time I tasted this wine and it was excellent. It had a golden yellow colour and had a crisp finish for a sweet wine. This is clearly one to keep in the cellar. Lunae, Etichetta Nera 2012 (Liguria, Italy): I find the Vermentino to be a perfect grape for matching with seafood and fish. Grown mainly in Sardegna, Tuscany and Liguria, Vermentino is an easy drinking grape. In the hands of a good producer, however, it can develop complex notes. The black label wine from Lunae is an excellent wine with very pleasant aromas and freshness. Chateau Grand Mayne 2006 (St Emillion, Bordeaux, France): The 2006 blend of Chateau Grand Mayne is made up of 75% Merlot, 20% Cabernet Franc and 5% Cabernet Sauvignon. Although still relatively young, this wine was already drinking very well. Decanted for over two hours, it was complex on the nose but well balanced for its age. One to try. Cusumano Noa 2002 (Sicily, Italy): The Noa is a blend of Nero d’Avola, Cabernet Sauvignon and Merlot. Served blind, this wine can be surprising for the right and wrong reasons. It is an incredibly good wine which is now perfectly balanced. What it has lost in power, it has gained in finesse. The only negative point is that it is incredibly difficult to guess that this is a Sicilian wine and while the Nero d’Avola is a distinct Sicilian grape, in this case, if it is served blind, many wine experts could easily confuse it for a Bordeaux blend. Nevertheless, this is an exceptional wine. The impact of returning back to Brussels last week from a holiday in Malta was not only hard because of the temperature difference (nearly 20 degrees) but also because of the contrasting weather. From sun and blue skies to heavy rain and dark skies, the contrast could not have been starker. After finishing the shopping chores, we were heading to the centre to buy a wedding present early in afternoon when on the right side of Chaussee de Charleroi on the way towards Avenue Louise we noticed Pasteleria Forcado. Now, I had read about this Portuguese place and its exceptional pastries but I had not yet looked up its location. Given it was early afternoon and a good time for a coffee, we decided to stop and give it a try. I parked on Rue Americain and we headed to this welcoming coffee shop and tea room. The impact was immediately positive. The interior of the place is clinical but at the same time very welcoming. The tasting room and serving area is spotlessly clean and the famous Portuguese pasteis were beautifully displayed. I love Portuguese cuisine though I must admit I am not very familiar with it. 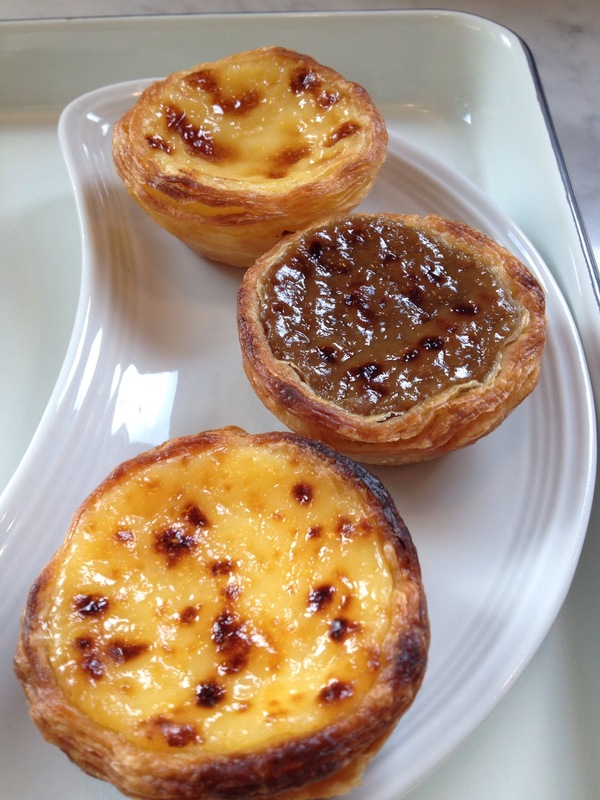 But one bite of Forcada’s pasteis was enough to confirm that these were really special. We had three different pasteis, the classic one from Lisbon with a touch of cinnamon, lemon and vanilla, a lemon one and a coffee Pastel de Nata. The taste of the three pasteis was enough to lift our spirits and put some brightness to a day in which the sun was finding it hard to make an appearance. The fillings were amazing and the pastry delicious and cooked to perfection. Our daughter also wanted to try. I took her to the counter so she could choose and she picked a ‘cupcake’ with almonds and orange which was also excellent. Verdict: There are many reasons to end up in this Brussels neighbourhood. Close to Place Chatelain and Avenue Louise this is worth a little detour. Actually, there is no excuse, if you are anywhere in Brussels and want to try something different from the traditional, albeit excellent, Belgian patisserie, then you have to go to Forcado. 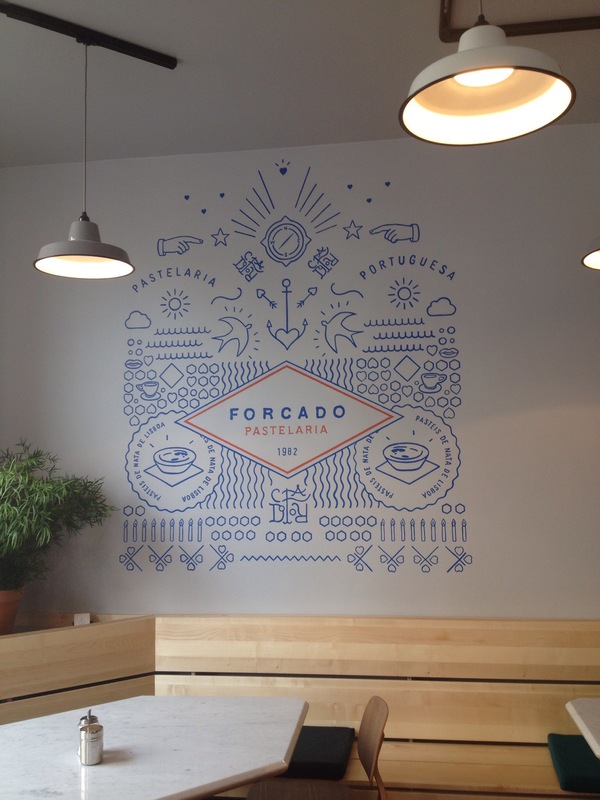 You can find Forcado on Chaussée de Charleroi 196-198, in Ixelles. It is corner with Rue American and just below Avenue Brugmann. It is open from Tuesday to Saturday between 10am and 6pm. 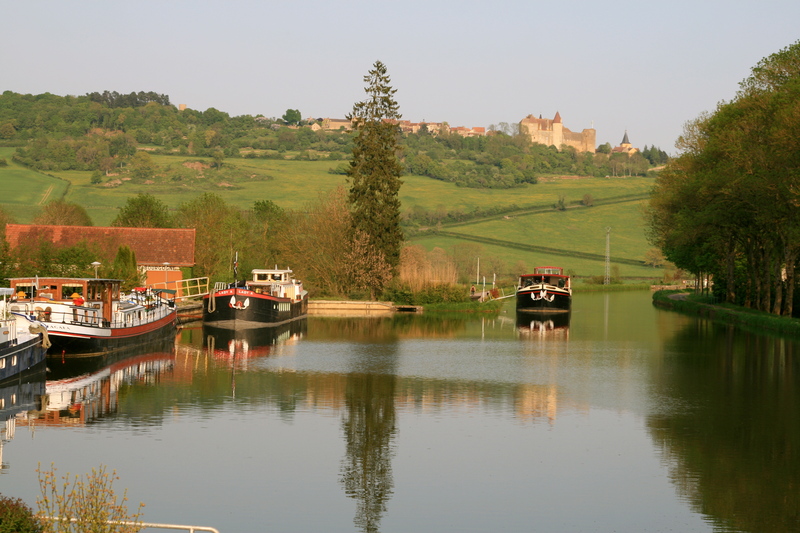 This week I have been reading a book about the unlikely story of an American making wine in Burgundy. As the summer holiday for me comes to a close and I start to prepare mentally for the winter schedule (with the weather and temperature already going down in Belgium), I find that the days start to get shorter but you get to find more time somehow for reading particularly on the longer evenings. I am currently midway through a book about Burgundy wine written by an American who followed his dream leaving a job in finance to start making wine in France. The book reads very well and I will review it once I finish it probably sometime next week. For those interested the name of the book is The Road to Burgundy, The Unlikely story of an American making wine and a new life in France. In the meantime as is usual here are some articles which i enjoyed reading this week. Hope you enjoy and have a great start to September. There is no such thing as a free lunch and this is the perfect rant. It is unfortunately in Italian but well worth going through it because it explains how important passion is if you see quality. Here he has a go at the many bars who ask for coffee machines etc for free while compromising on the quality of the main ingredient coffee. Here is a great list of 10 food books from Amateur Gourmet. A bit old but I came across it this week. The following is an article from Jancis Robinson about someone who is taking the wine scene in London by storm thanks to car boot sales with a difference. 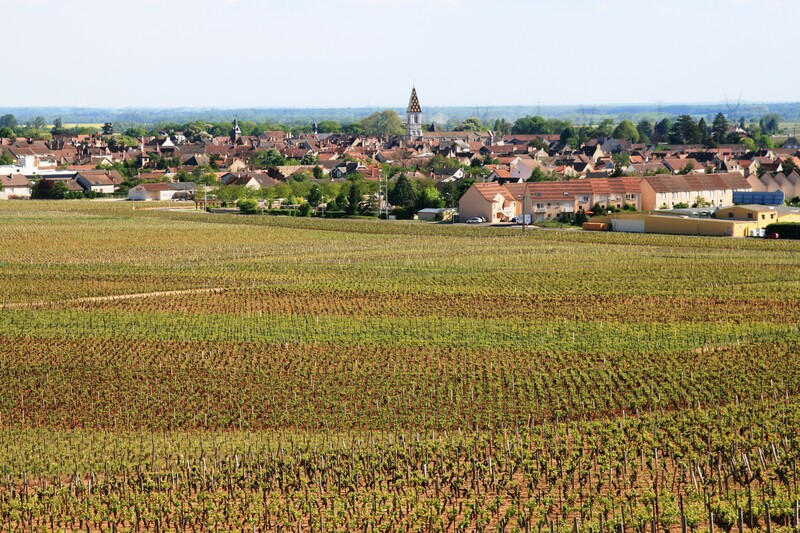 A good article on how champagne is made. Noma needs no introduction. It is probably one of the world’s most famous restaurants. 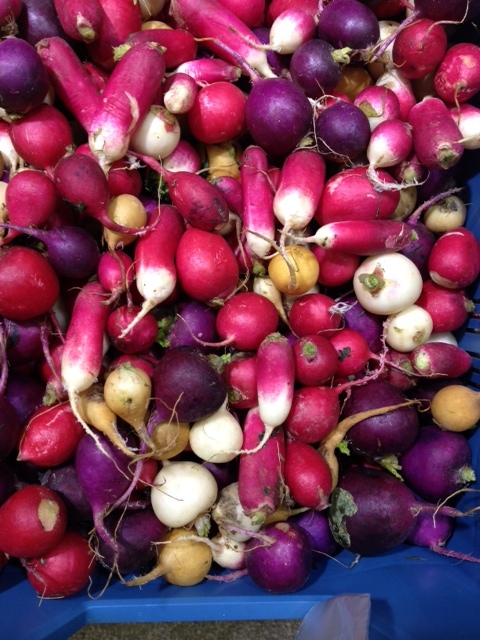 Here you get a glimpse Inside Noma’s scientific food bunker. Read a very interesting profile about a little talked about female chef Clare Smyth who is coming out of the shadows after scoring a perfect 10 by the Good Food Guide. If like me you like to read about food, you will enjoy this little article about the allure of imagined meals. Valletta, Malta’s capital city is known by locals as il-Belt (the City in English). Walking around over the past few days with the eyes of part-insider part-tourist, I noticed that Valletta, which is undergoing heavy restoration, has never looked better. 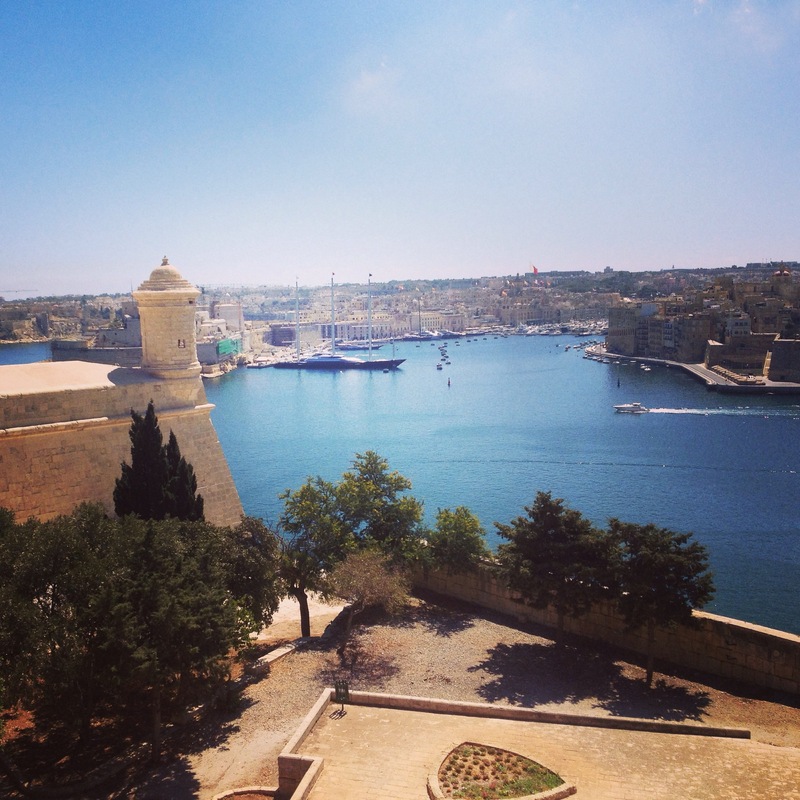 There are a few things which I do on every visit to the island of Malta. 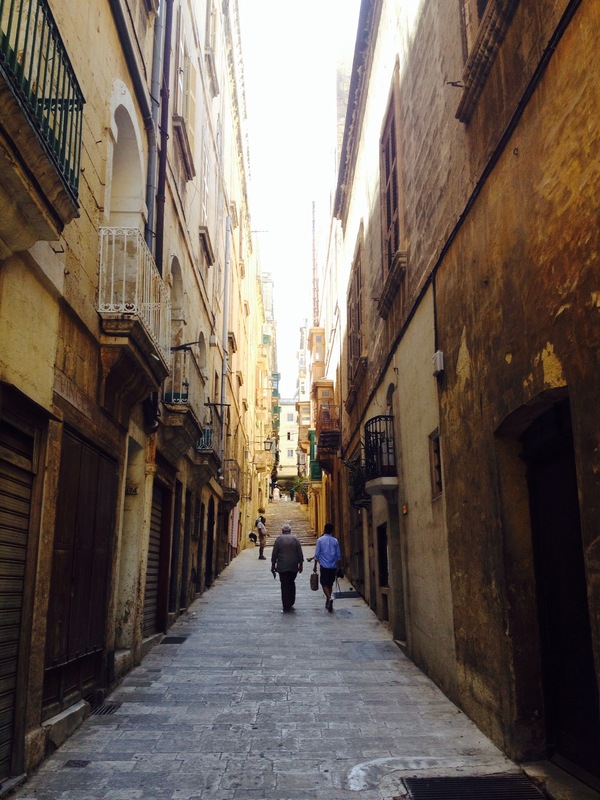 A visit to Valletta is one of them no matter how short the visit is. Whether its to get a perfect espresso, to meet up friends or bump into people that you have not met in a while, Valletta is the perfect melting pot. It is a city built by gentlemen for gentlemen and for many years, especially after World War II, it stood in neglect abandoned by a nation which is once again discovering its glory at all times of day. Unlike other capital cities around the world, Valletta is a small peninsula with a population of just under 7,000 though more and more people are returning to live in what is considered as a World Heritage City. While Valletta has always been busy during the day both with tourists and locals alike who go there for various administrative reasons, the city would fall silent after sunset as offices, museums and shops closed. But the city has been transformed over recent years and is becoming a hub of activity in the evening away from the hustle and bustle of other busier areas on the island such as Sliema/St Julians and Bugibba. It is difficult to pinpoint the main highlights in Valletta since this is a living monument. This magnificent fortress city is named after its founder, the Grand Master of the Order of St John Jean Parisot de la Valette. It started to be built in 1566 and was completed in just 15 years with its impressive bastions, forts and cathedral. 1. Renzo Piano’s city gate and the Maltese parliament: Enter Valletta from a bridge designed by world renowned architect Renzo Piano and you will be left in awe as you enter Malta’s capital city. To your right you will see the new Parliament, and further on, the site of the old opera house which was left in ruins after the second World War and which has now been turned into an open air theatre. This project, nearing completion now, has been the subject of huge political controversies over the past years. The reasons for this are varied including the fact that the Parliament was built on one of Valletta’s few squares (though it was used as a car park) and the former site of the opera house was turned into an open air theatre angering some locals who would have preferred the opera house to be rebuilt in its original state. Whether you agree with the project or its architecture, the site is now taking shape and the entrance to Valletta is incredibly stunning also in view of the heavy restoration taking place on the surrounding bastions. 2. 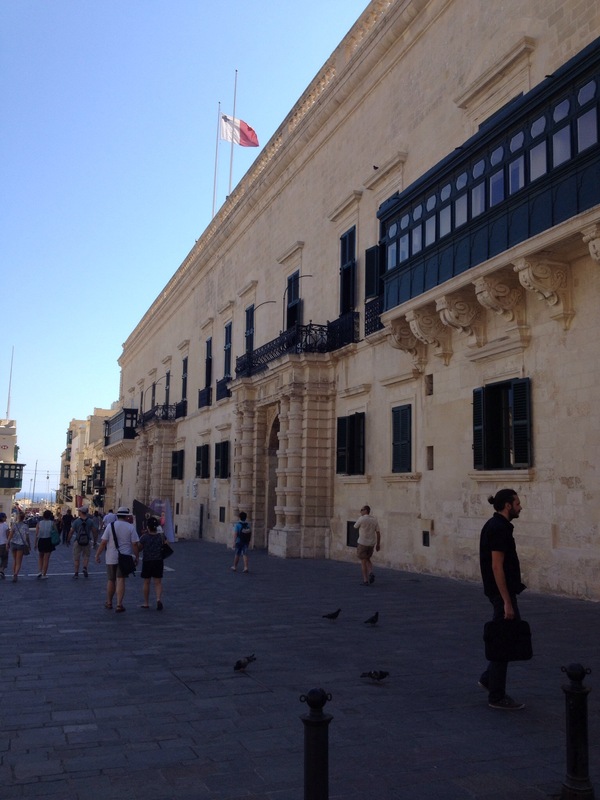 Walk from City Gate to St George’s Square in Republic Street: A relatively short walk will take you from the City Gate to what was once called Palace Square or the President’s Palace and the Maltese Parliament. You will walk past the national archaeology museum, the side of St John’s Cathedral, the national courts, Piazza Regina where you can see the National Library which leads on to St George’s Square where you can view the Palace. You can stop for a coffee at Cafe Cordina just before you reach St George’s Square. Enter the Palace and visit its museum. 3. Visit St John’s Cathedral: No visit to Valletta is complete without a visit to St John’s Cathedral and its museum. The cathedral is a gem of Baroque art and architecture. It was built as a church for the Knights of St John. The Grand Masters and several knights donated gifts of high artistic value. The cathedral’s interior is full of works of a great Baroque artist Mattia Preti who lived in Malta from 1659 till his death in 1699. You will also find two works of Caravaggio in the museum, the beheading of Saint John the Baptist and Saint Jerome writing. 4. Walk to the Upper Barraka Gardens. 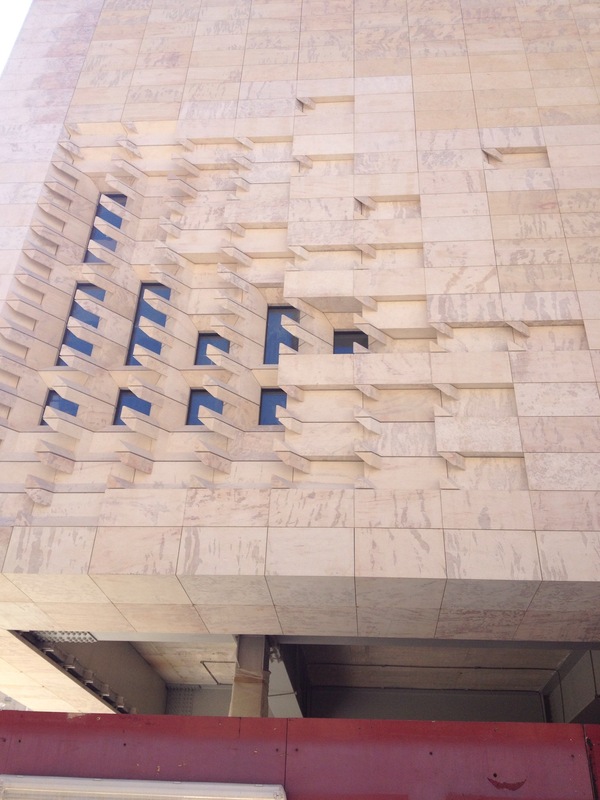 On the way, view the sites of the Central Bank of Malta, the exterior of the Auberge de Castille (the Prime Minister’s Office) and the stock exchange. Turn right just after the site of the old opera house and walk up towards the Prime Minister Office (Auberge de Castille). To your right, there is the Central Bank of Malta. As you walk past the Auberge de Castille you will see the old Garrison chapel which houses the Malta Stock Exchange since 1999. From there you will walk to the Upper Barrakka Gardens (il-Barrakka ta’ Fuq) which is a public garden in Valletta with stunning views of Grand Harbour and the three cities. it is twinned to the Lower Barrakka Gardens. 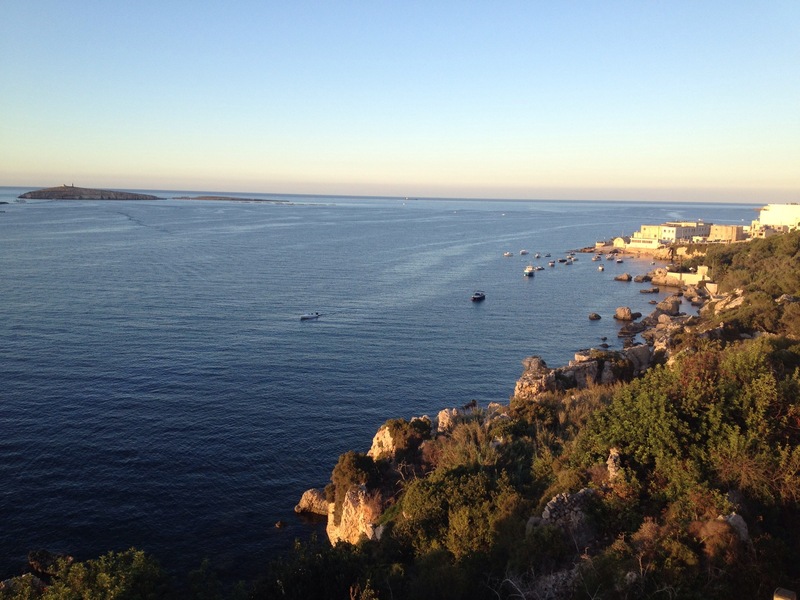 From here you can also head down with a new lift to the lower parts of Valletta. 5. Get lost walking in Valletta and view the main attractions at leisure: It is not easy to get lost in Valletta because the city is build like a grid and hence all roads will take you to the central street or Republic street. Nevertheless, you will get lost in time and history walking the streets of Valletta and admiring the architectural beauty and the way of living. There are many streets worth visiting including Strait Street which used to buzz with activity during World War II but has since lost its shine. Walk in Merchant’s Street with its many palazzos now serving as government buildings and head to St Paul’s Street and St Ursula Street or visit the lower parts of Valletta. 6. Visit the Manoel Theatre: Teatru Manuel, as it is known, is a historical monument and a temple to the performing arts. It was built in 1731 by order of the Grandmaster Anton Manoel de Vilhena and it remains one of the finest examples of theatre architecture in Europe. In 2014, it was voted as of the most beautiful theatres by CNN. You can take a tour of the theatre, or attend one of the many cultural events taking place there. 7. 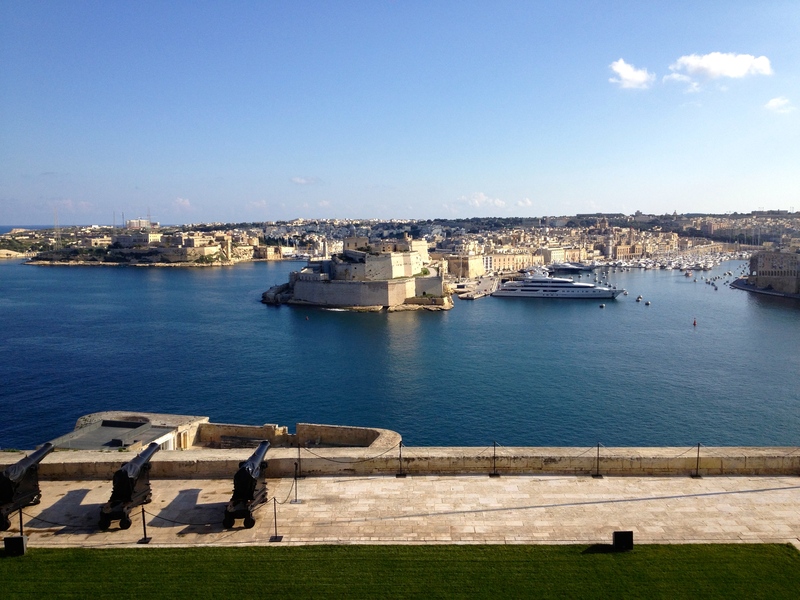 Go to the lower end (eastern side) of Valletta: Visit the Lower Barrakka Gardens and then head towards Fort St. Elmo. You will pass in front of the Mediterranean Conference Centre. This building, built in the 16th centre is one of Valletta’s landmarks. It used to be a hospital and was previously known as the Sacra Infermeria. Today it is a convention centre. Head to Fort St Elmo. 8. Visit one of the many churches of Valletta: Discover one of the many churches of Valletta. Despite its small size, (Valletta measures 900 metres by 630 metres in total) it has over 25 churches. This is a reflection of the importance of the Catholic Church in Malta over the years. Many of these churches are open during the day. If you have to pick just one (apart from St John’s Cathedral), I would make it the church of St Paul on St Paul’s Street. 9. Find St Barbara Bastions and admire the splendid views of Malta’s grand harbour with its incredibly rich history and stunning houses. If you are there during the day, you can head to Sicilia Bar for a small snack or lunch with a stunning view. If you are there in the evening, you can sit down on the stairs closeby and have a drink at the Bridge Bar. 10. Walk the perimeter of Valletta: On a cool evening or early morning, walk the perimeter of Valletta for stunning views of Marsamxett, Grand Harbour and the Valletta bastions and fortifications. This will take some time but is worth the effort. While compiling this list, I realise how difficult it is to come up with a list of just 10 things to see in Valletta. This list stops short of many of the sites which are worth visiting. Some will point out that I have missed many important highlights such as Fort St Elmo, the war museum, the Mediterranean conference centre, St James Cavalier or the national archaeological museum, among others. But I hope that this list whets your appetite and encourages you to visit Malta’s capital which is set to be the European Capital of Culture in 2018. Watch out for my list of 10 places to eat and drink in Valletta coming shortly. Rizzi as they are called in Maltese remind me of my lazy childhood summer days. Swimming on the beach at St Paul’s Bay overlooking St Paul’s Islands (see below), parents of young children would go snorkelling to pick up the sea urchins. Time flies and this must have been a good 30 or so years ago. They would go snorkelling for an hour, fill up a plastic bag with sea urchins which were caught from the rocks or seabed and then come back to the beach were the mothers and fathers would get a knife, gently cut open the sea urchin in half and give it to the children with a spoon to scoop out or else serve on top of bread like a very rustic version of bruschetta. These memories still make my mouth water given the sea urchins would have an incredible but delicate taste of the sea. It is said that the presence of sea urchins at sea reflects the cleanliness of the sea water. I am not sure whether this urban legend is to be believed or not but over the years this tradition has since been lost and there was even a time when sea urchins were becoming rather rare. I remember going many years without tasting rizzi although in Malta they have now found their way to many restaurants served the Italian way with pasta, mainly spaghetti or linguini. Since many years now, any fish restaurant in Malta worth its salt serves this dish when the sea urchins are available. In many cases the sea urchins are imported from Italy. And whenever I return to my home country, nearly nine years after leaving, the only thing I crave is pasta with sea urchin which is nearly impossible to find in continental Europe. There are a few restaurants which prepare it in the simplest of ways which is the best approach to dealing with sea urchins (we used to eat them raw when I was young and some of the most delicious sushi I have tasted in Japan were with raw sea urchins). 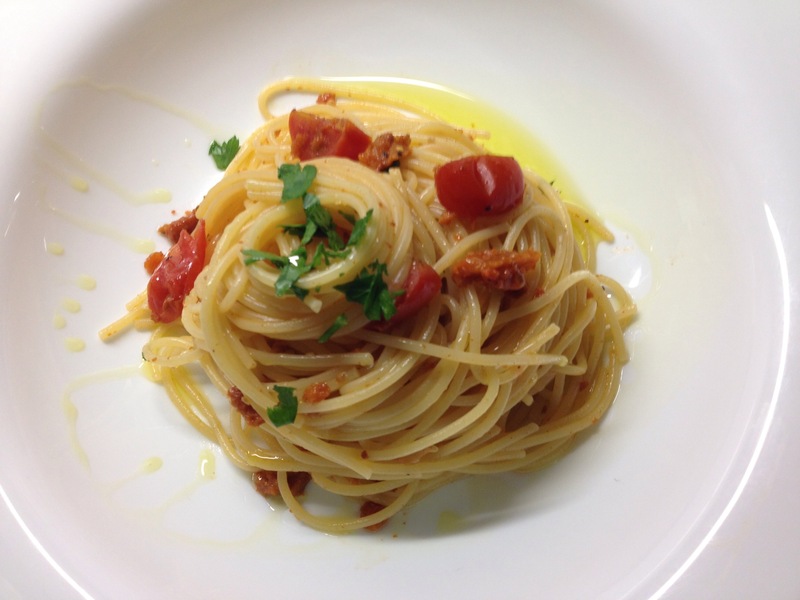 So here is my take on the Spaghetti bir-rizzi as the dish would be called in Maltese. This is a very quick and simple dish to make. But it is delicious and worth trying if you can find the ingredients. 1. Boil the water to cook the pasta. Once the water is ready and you are ready to boil the spaghetti, you can start preparing the sauce. 2. Add three to four tablespoons of extra virgin olive oil to a pan and fry the chopped garlic to give the oil some fragrance. I normally retain the garlic but if you find it overpowering, you can crush it to release the aromas and then remove it once brown. As the pasta starts to boil add the chopped cherry tomatoes to the pan and cook for a few minutes. 3. The cherry tomatoes should not be overcooked. Just as the pasta is about to be cooked add half the sea urchins and stir into the sauce with a ladle of the cooking boiling water to melt the sea urchin. 4. Drain the pasta and throw it into the saucepan and cook for an additional one minute adding the remaining sea urchins and chopped parsley. Finish off with a drizzle of the best extra virgin olive oil you can find. Serve immediately. Wine serving suggestion: This is a Southern Mediterranean dish so I would pair it with a fragrant wine from the South of Italy or even Malta if you can find it. A Falanghina from Campania or an Insolia from Sicily would work very well. I would also try it with a Vermentino from Sardegna or Malta.